Joanna Coles is the County Extension Agent for Agriculture and Natural Resources with the UK Cooperative Extension Service since January 1999. In her position, she brings farmers up to date on researched based information to help them increase profitability, manage risk and identify and diagnose problem areas on their farm. She has been nationally recognized for her work in agriculture awareness by the National Association of Agriculture Agents. Joanna began hosting Ag Connections in 2012 and also hosts the Farm & Home show on WBKO at 4:55 a.m. Mondays thru Fridays. You can catch her Country Cottage segments on the Local Cable Channel 195 airing at 6:30 a.m., 1:00 p.m., 7:00 p.m. and 9:30 p.m. where she presents topics related to farms, food, family and fun to improve your life! 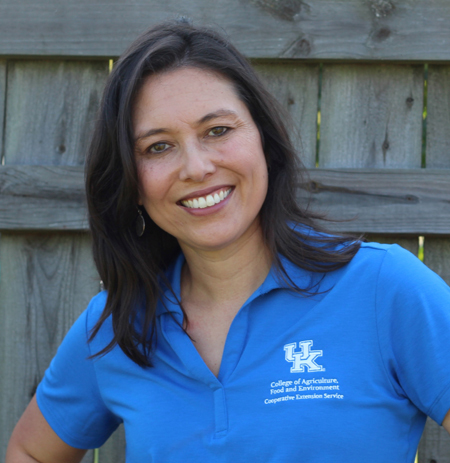 Joanna graduated from the University of Kentucky with a Bachelor’s degree in Animal Science. She received her Master’s degree in Agriculture from Western Kentucky University. When she is not working; you can find Joanna spending time with her family at the farm in Auburn, managing “Jenna’s Kitchen” and “The Coles Life” on social media platforms or attending Hillvue Heights Church.